Warning! This post is full of an evening’s worth of fannish contemporary fantasy entertainment! You might want to set aside an evening for this- preferably tonight. I’ve been feeling particularly lucky these past several days. One of them was that I had just finished reading Cold Days, the seventh book of Jim Butcher’s The Dresden Files. Normally, I would not consider that much of an accomplishment, except that I never just read one book at a time. In this case, I was also reading Journey of Heroes while also trying to keep up with the FUBAR books, The Shadow, The Dresden Files comics, Wolverine and the X-Men, and The Walking Dead. Then I found out that I had pulled that off in time for Jim Butcher’s birthday, which also happens to be the birthday of my brother Kreg and my friend Robert. (Happy birthday you guys. Stay out of trouble!) So here’s a little present. I’m not actually writing a book review, though I did indeed like Cold Days and eagerly look forward to the next installment, Skin Game. Rather I will share how some people I suppose we could call Dresden-philes have chosen to pay tribute. We “officially” premiered this movie at Missoula, Montana’s MisCon back in May, and Jim Butcher just so happened to be a guest. I also say “we,” because it’s not just another crazy coincidence that all the people listed in the credits have the last name of Finnigan. Like a lot of fanfilms, this was a family affair. Rather than just waste an entire panel talking about how awesome our movie was, however, we showed a preview for another fanfilm that was, at the time, still a work in progress. 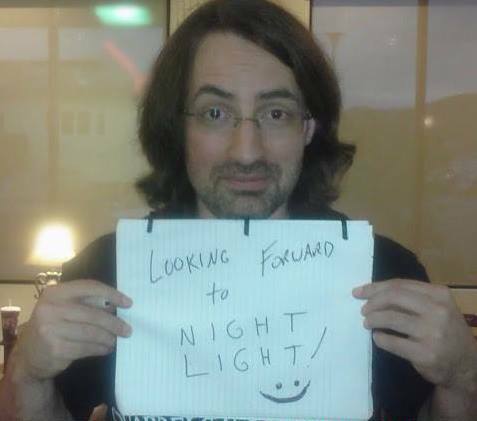 What did Jim Butcher think? After he saw our movie and the trailer, he had this to say to Tower of Turtles Productions, the people who made this next movie. Because you’ve put up with my rambling so far, I won’t just show the preview. I’ll reward you with the whole thing. Just another warning – This movie is not for the little ones.